Tickets are on sale for Peter’s Humanology tour commencing 18 May 2019. Details and ticket info can be found here. 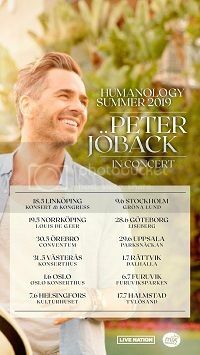 Peter has announced a pop concert to present “Humanology” for February in Gothenburg, Sweden. Tickets went on sale and sold out within an hour. Another concert has now been added. Tickets for the second concert (which is now the first one) can be booked at Live Nation. 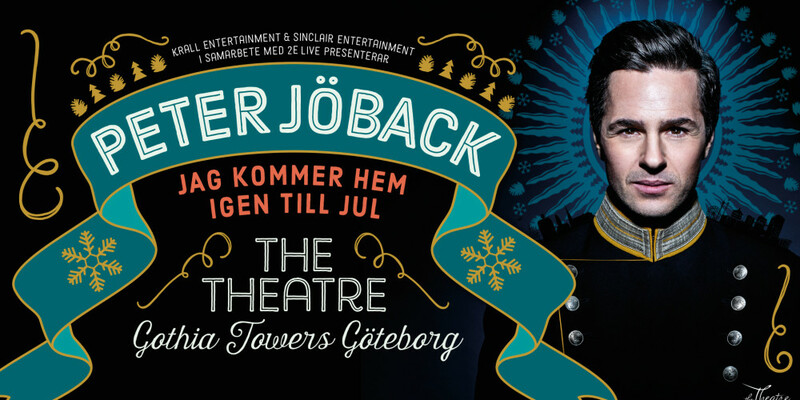 Peter has announced an exciting new show, which will play a residency at the Cirkus Theatre in Stockholm from 20 September 2018. The name of the show is “Med hjärtat som insats”, which translates to “With his heart on the line” and has also been dubbed “His Greatest Show”. Peter has worked with his creative team Hans Marklund and Magnus Rensfors to create a music experience they are calling “Pop Theatre”. The show has been described as a spectacular, colourful, dramatic and musical journey between different stages of life and world destinations. Decadent Berlin, romantic Paris, magical New York, sophisticated London and last but not least luxurious Las Vegas. You will meet Peter as an artist, a crooner, a musical star and a pop singer through successes, adversities, love, heartbreak and passion for the stage and showbiz. The show will play in the evening Thursdays to Saturdays, with a matinee on Saturdays from 20 September 2018 to 15 December 2018. Click here for tickets. Christmas Night 2017 is a tour around Sweden in November and December featuring the artists David Lindgren, Thomas Di Leva and Molly Sandén. However, Molly is not able to make all the shows so Peter has stepped in for four of the shows that Molly will miss. More information (in Swedish) including links to book tickets can be found at the Christmas Night website. Peter has joined the ensemble for a special concert, Trees & Love, in support of the aid organisation Vi-Skogen that plants trees in east Africa, as a way of alleviating poverty. The concert will be held on 12 September 2017 at the Göta Lejon in Stockholm and all proceeds will go to support children in east Africa. The concert will also be screened at cinemas across Sweden.